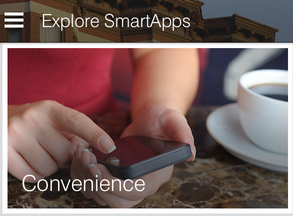 You asked for it, we made it: We’ve just published a SmartApp that sends you notifications when your laundry is done. Place a SmartSense Multi on the side or top of your washing machine. Configure the Laundry Monitor SmartApp by selecting a Multi following the prompt: “Tell me when this washer has stopped…”. You can also select a lamp or light to turn on or flash if you’d like multiple notifications. The SmartApp works by sending you a notification once the washer stops vibrating. Since a washer may stop vibrating at certain points during a cycle (example: during the few seconds between when water stops flowing and a cycle starts, if you open up the door to check on it, etc. ), the two prompts under the header “Time thresholds” are simply meant to prevent false a notification if the washer is still running but not vibrating. 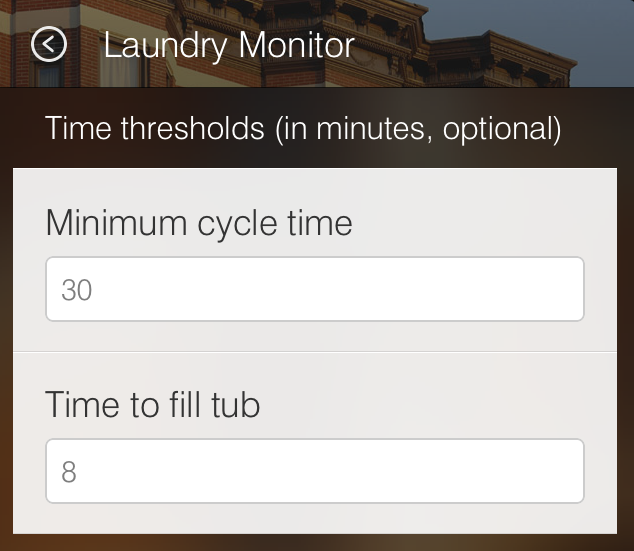 “Minimum cycle time” = the shortest amount of time that it takes your laundry cycle to run. “Time to fill tub” = the amount of time that it takes your washer to fill with water.